» Terry McClure Defeats the U.S. Forest Service!! As many members will recall, last season, federal law officers from the U.S. Forest Service issued Terry McClure a criminal citation for using a 4-inch dredge on his mining claim along the lower Salmon River in Siskiyou County, California. Terry had a 2004 California suction dredge permit which allowed suction dredging on that section of the Salmon River through the 15th of September. But the Acting Ranger in Orleans, Joyce Thompson, had decided that any suction dredging or high-banking activity along the lower Salmon River was “likely to cause significant disturbance of surface resources.” During 2004, Ms. Thompson prohibited all dredging or high-banking activity within the Ukonom Ranger District in the Klamath National Forest. This is the ranger district in which Terry had his claim. Terry had developed a valuable deposit of placer gold on the lower Salmon River in 2003. Believing that Ms. Thompson’s decision to stop small-scale mining activity along the lower Salmon River was arbitrary and capricious and contrary to law, Terry resumed suction dredging on his claim in August 2004, and continued to operate, even though he was confronted several times by U.S. Forest Service employees, including Ms. Thompson. The conflict evolved into the issuance of a criminal citation on September 1, 2004. Federal law enforcement officers threatened Terry with arrest if he did not immediately stop dredging and remove his mining equipment from his mining claim. Terry was cited under 36 C.F.R Section 261.10(k) for occupying or otherwise using National Forest land without special-use authorization when such authorization was required. Not wishing to be arrested, Terry withdrew from his mining claim and resumed the battle in court. Many people within our industry were outraged over this situation, and a lot of effort went into raising money to help with Terry’s legal expenses. I am proud to say that many New 49’er members contributed generously to the effort. Equal Access for Justice contributed the use of an on-line legal research service and advice. Public Lands for the People (PLP) contributed documents and advice. Laura Skaer of the Northwest Mining Association was helpful. Mike Higby, Jim Foley, Dan Miller and Gene Wiley implemented very effective and creative fund-raising programs over the industry chat forums. Other supporters helped in important ways. After a hearing on January 18, 2005 and the filing of a total of four briefs concerning Terry’s motion to dismiss the charges against him, United States Magistrate Judge Craig M. Kellison issued an order on February 2, 2005 to dismiss the violation notice and end the case against Terry McClure before trial. The seven-page order ruled that the U.S. Forest Service cannot classify mining operations as a “Special-Use” activity under 36 C.F.R. Part 251, because mining activity (including camping on mining claims when there is active mining activity going on) is specifically excluded from Special Use regulations. 36 C.F.R. Part 251 is the “catch-all” regulation for activities on National Forest land other than mining, timber harvesting and a few other excluded uses. For example, if a power company wants to run a power line over National Forest land, it must apply for a special-use authorization. Mining and prospecting for precious metals is managed under the 36 C.F.R. Part 228 Subpart A mining regulations, which are intended to protect the surface resources of National Forest land, while at the same time, ensuring that people have access to the public lands to search for and develop valuable mineral deposits. 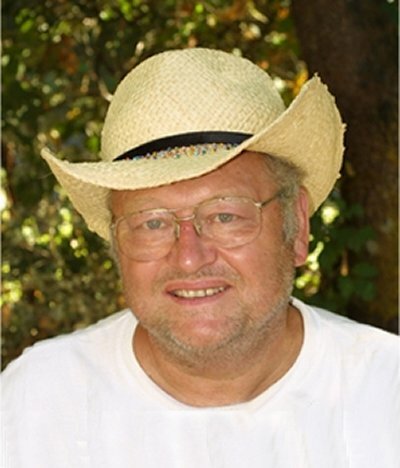 The Department of Justice essentially argued in court that mining without an approved operating plan was the same as using National Forest land without a special–use authorization, and admitted that it could find no other regulation with which to cite Terry McClure. Counsel for Terry McClure, Dabney Eastham, brilliantly argued in the dismissal-motion that mining activity on U.S. Forest Service land can only be managed under the 36C.F.R. Part 228 Subpart A mining regulations, and that the regulation under which Terry was cited did not apply. The magistrate judge ultimately agreed. The judge relied heavily upon the recent landmark case of Lex and Waggener that was issued a year ago (United States v. Lex, 300 F. Supp. 2d 951 (E.D. Cal. 2003)), deciding that camping on mining claims by active miners also must be managed by the U.S. Forest Service under the 36C.F.R. Part 228 Subpart A mining regulations. This, for the most part, seems to have eliminated the U.S. Forest Service’s power to issue criminal citations to individuals who are engaged in small-scale gold mining activity, or who are camping in association with that activity. It appears that in order to bring a case against a miner, they will need to be prepared to prove in civil court either that the person is not a miner at all, or that the mining activity truly is creating a substantial disturbance of surface resources so that the miner can be prevented by a civil injunction from operating without an approved operating plan. This decision strongly vindicates the rights of miners under the 1872 mining law, directly in step with the Lex and Waggener Decision of 2003. Joyce Thompson is no longer the acting district ranger in Orleans. I would like to take this opportunity to congratulate Terry and Joanne McClure. Their win will affect the way the entire small-scale mining community is managed by the U.S. Forest Service from this time forward. Anyone who has ever been involved with this kind of ordeal knows well that it takes an enormous depth of emotional substance to stand up to the overwhelming might of the U.S. government. The McClure’s quiet and steely determination to challenge the arbitrary and capricious action of the Acting Ranger, at the risk of criminal penalties, should make us all proud to be miners. Karuk Lawsuit Going into High Gear! The Karuk Tribe of California filed a lawsuit in federal court on the 8th of October (2004) against the U.S. Forest Service (USFS) to prevent the USFS from allowing dredging or high-banking in or near any waterways (so-called “Riparian Reserves”) within the Klamath and Six Rivers National Forests, unless the USFS first undertakes exhaustive and time-consuming measures to ensure that the activities will not disturb various species of animals. Because there is ongoing litigation, it is better that I do not comment on it any more than is necessary to help generate support within our own industry. This is a time for all good miners and supporters to pull ourselves together. We have created a special “Legal Affairs” page HERE on our web site so you can go up and have a direct look at the documents concerning the legal affairs that we are either involved with, or are watching closely. The Karuk lawsuit is about what rises to a “significant disturbance of surface resources,” and who should make that determination. Existing 36 C.F.R. Part 228 mining regulations allow the District Ranger to use his or her own discretion, based upon the best advice of his or her staff and other experts, to decide what type of mining activity will likely cause a significant disturbance and possibly trigger an extensive consultation process to which a substantial number of additional federal agencies become involved. Generally, District Rangers have decided that hand-mining and suction dredging activity that conforms to state regulations does not rise to the level of a “significant impact.” The Karuk Tribe is asking a federal judge, Saundra B. Armstrong in Oakland, to decide otherwise. The USFS seems to be taking a firm stand, defending the way it has historically managed small-scale gold mining projects. This is good for the prospectors and miners! will certainly be affected by the outcome. Just as this newsletteris going to press, The New 49’ershas filed a motion with the federal court in Oakland to intervene in the litigation. We are doing this on the grounds that we will be directly impacted by the outcome of the litigation, and that we cannot depend upon the USFS to fully defend the rights of miners. The miners need to be heard in this matter! Part of filing this Motion has also required us to file a very substantial proposed answer to the Karuk complaint. Pulling it all together has taken a lot of effort by the two attorneys that represent us, me and others. The decision in this case will affect all national forests in America. There is a lot at stake here, and we have done our absolute best to represent the interest of prospectors and miners in these national forests. As you can imagine, the very intense amount of legal activity during resent months has taken a heavy toll on our legal resources. You guys know that gulping feeling when you start worrying about running out of money? I’m starting to get it! Therefore, I am requesting anyone and everyone who is able, to please send in a $10 donation to help replenish the legal fund. Checks can be made out to New 49’ers Legal Fund, P.O. Box 47, Happy Camp, CA 96039. The girls in the office (530 493-2012) will also process a credit or debit card, or receive payment through PayPal. Thanks for whatever you can do to help. We would not be able to do this without your support. Together, we are accomplishing some of the most important things that are happening within our industry at this time.